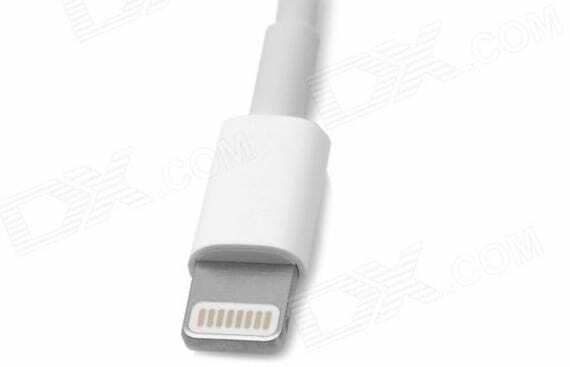 The inclusion of an authentication chip in Lighting cables could only mean one thing: Apple wants to control the accessories that connect to the iPhone 5 and for this, we have to buy it from them. It is an option to limit the emerging market of accessories from China whose prices hover just a couple of euros and, incidentally, make more cash. Although there are few accessories that use the connector Lighting, the first original cable fakes are starting to appear in different stores. The example is offering a cable DealExtreme similar to Apple but that only loads the terminal and not synchronized by the absence of authentication chip. The price is also higher. We have gone from a pair cables buy euros to have to pay about 12 euros for a replica that does not offer the same functionality as the original cable. Still, it's a cheaper alternative to the Apple and allows a second cable to leave next to the bedside table and load the iPhone 5 as we sleep. Article first cable appears cheap but only loads Lighting was originally published in News iPhone .